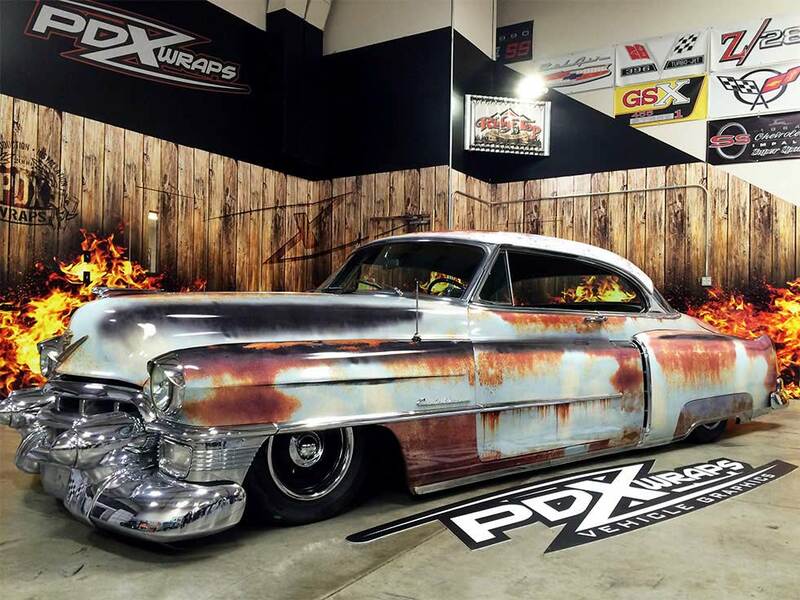 This 1953 Cadillac Coupe De Ville was already laying frame equipped with some Accuair bags. 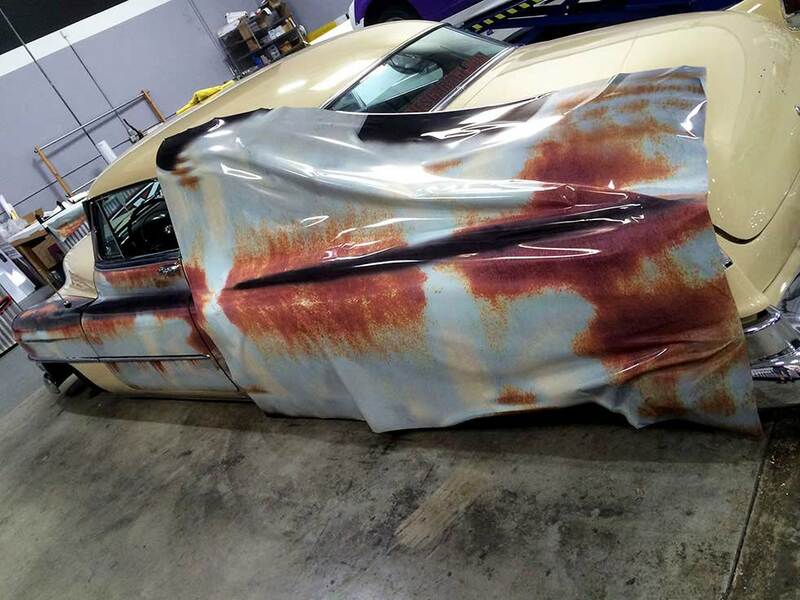 The owner and our friend from Leif’s Garage, Josh, had been in and out of our shop talking about what could be done to this boat of a car. 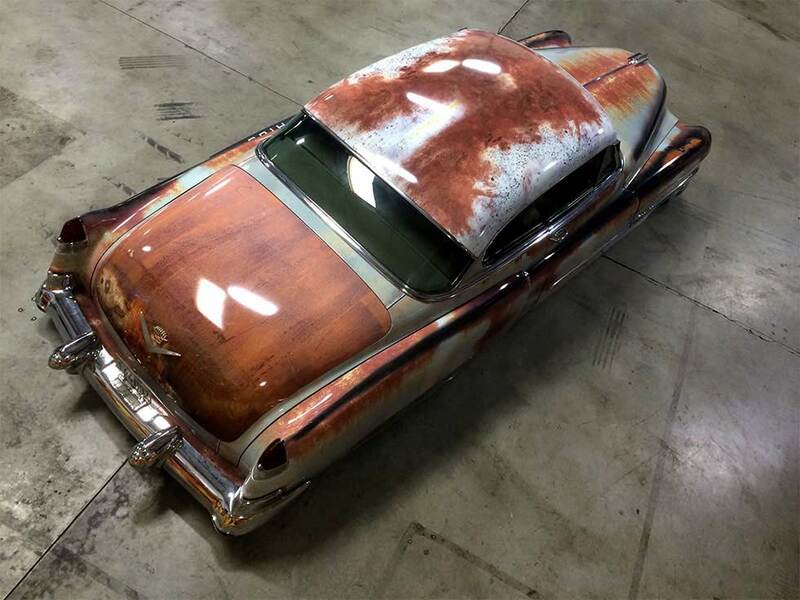 The talk of a patina rust wrap came along and we ran with it. 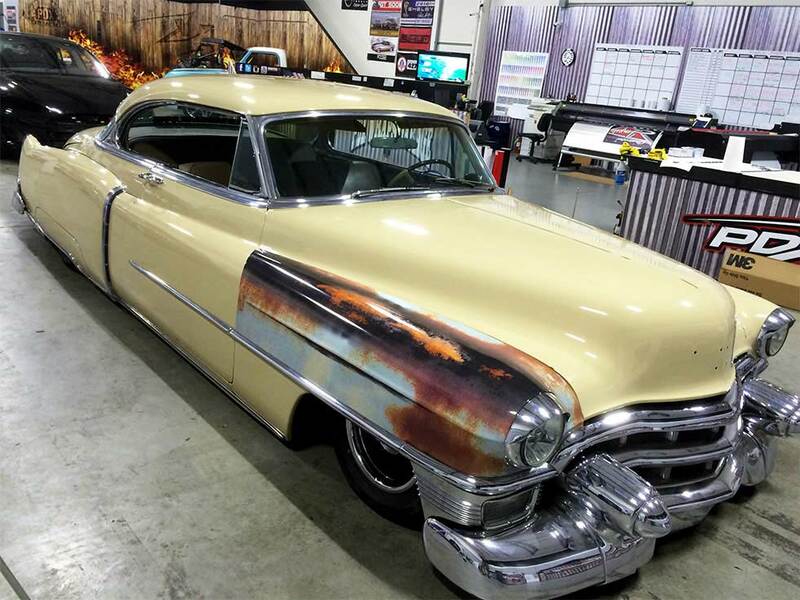 Going off some google images to get an authentic patina look and meticulously aligning wear and tear to the body lines the Cadillac became even more of a head turner. 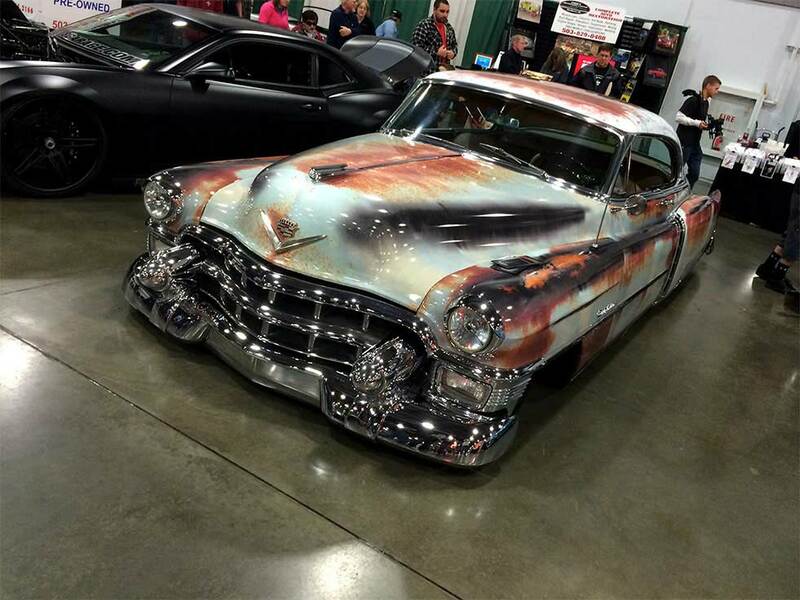 It drew crowds and talk of “look at that paint job”, “why would they clear coat patina?”, and the typical “That’s a wrap?!”. 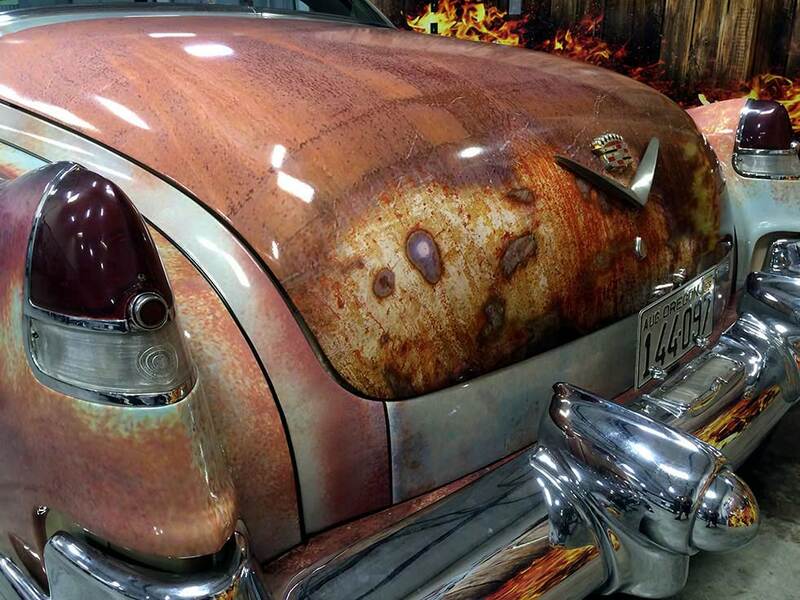 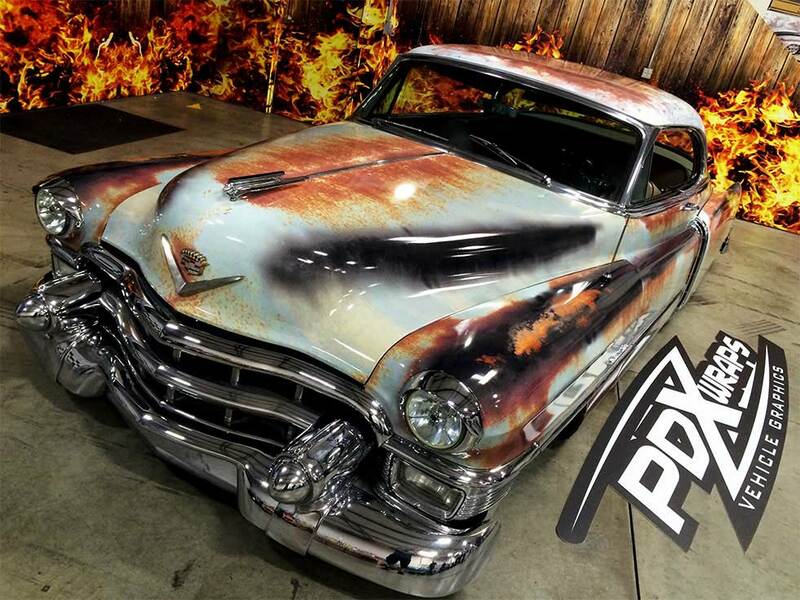 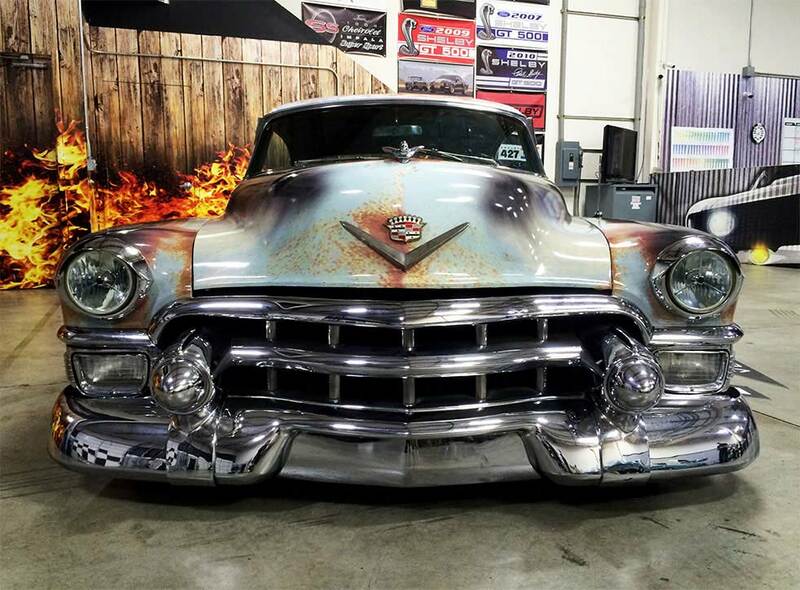 The project couldn’t have turned out better and now the patina look has made its waves through the wrap industry.